To become an Ohio Police Officer or an Ohio State Trooper you need to take a written exam. Each city has its own exam. The selection process, no matter what city or town you are applying for is a highly competitive process. Familiarizing yourself with the exam, will increase your chance gaining a high score on the police test, and JobTestPrep has the resources available to give you the best preparation experience. Start practicing today. Each department may choose which written exam and score they require you to take in order for you to be selected in the hiring process. Below is a list of police department. The Akron Ohio police department, along with the Cincinnati, Delaware or Gahanna Ohio police departments require you to take the Ergometrics FrontLine National Testing System. The exam consists of 2 tests: a Video Based Human Relations and Judgment Test and the Writing Test. The writing test is broken down into two parts. The first part is writing a report and the second half is a multiple-choice writing and reading test. You will have 3 and a half hours to complete the exam. To become a Gahanna Ohio police officer you need a minimum passing score of 70%. A minimum passing score in Delaware is 75%. To become a police officer in Columbus is highly competitive and rigorous. The Police Officer Entry Level Exam which was selected by the Columbus civil service commission is a multi-phase test. There are four phases to the exam. The four phases include a multiple choice exam, a writing sample exam, a Columbus Oral Police Exam (COPE), and a physical test. The multiple choice examination, writing sample, and physical test are graded on a pass/fail basis. You must receive a passing score on all four phases of the exam to be considered in the Police Officer selection process. The exam is usually taken over two days. On the first day you will do the first three stages of the police officer exam: the multiple-choice, the writing sample, and the COPE. One the second day you will do the physical test. Familiarizing yourself with each stage of the exam will increase your chance of passing all four stages. The multiple choice exam assesses spelling, vocabulary, reading comprehension, and map reading skills. These skills are essential to the job. Spelling: This section tests your ability to correctly spell common English words. It consists of two parts. The first part consists of sentence completion where you will have to select the correctly spelled word to complete the sentence. The second part requires you to select the incorrectly spelled word. Vocabulary: In this section, you will have to choose the word that has the same meaning as the capitalized word in the question or the word that is opposite that of the capitalized word. Reading Comprehension: In this section, you will be given a passage to read and questions based on the passage. You will be given 4 to 8 passages to read. You do not have to memorize the text. You may go back to the passage after you have read the questions. There will be 15-30 questions. Map Reading: This section of the exam is designed to test your ability to follow directions and read maps. For the writing sample portion of the test, you will be asked to complete an Incident Report based on the content of a video that you will view. In the video, an officer will be questioning a person in order to gather information for an Incident Report. You are encouraged to take notes on what you see and hear while viewing the video. After viewing the video, you will be given one hour to complete an Incident Report. The Incident Report consists of two sections: a form completion section and a narrative section describing what happened. Both sections of the Incident Report will assess your information analysis and writing skill. The Columbus Oral Police Exam (COPE) is a video-based test that is designed to assess your problem solving skills and interpersonal relations skills. This exam is not intended to test Columbus police policies or procedures. These scenes will be presented as a series of still pictures with audio. Eight scenarios will be presented in which you will be expected to respond as a police officer. To be successfully on this part of the exam you need to place yourself in the situation and respond accordingly. In order to be a police officer in Moraine you need to prepare for The Ohio Law Enforcement Selection Inventory (OH-SELECT) designed by IO Solutions. The exam consists of 185 multiple-choice questions or rating scales. There are two parts to the exam. The first part of the exam assesses your cognitive abilities required for the job. It consists of 60 multiple choice questions and 12 sections. The second part of the exam consists of 125 statements with a rating scale. This part of the exam assesses various attitudes and personality characteristics. You will be allowed a total of 2 hours to complete both sections of the OH-SELECT. By becoming familiar with the exam and all the sections you are setting yourself up to succeed. To become an Ohio State Trooper you need to take a written exam. The exam tests your skills in Written Comprehension, Utilization of Information and Decision Making required to be a successful on the job. You will have 80 minutes to complete the 80 question exam. The Toledo Police Department Exam consists of 150 multiple-choice items, covering four content areas: Police Operations, Memorization of Wanted Posters, English Communications and Mathematics Skills. In addition, you are expected to become familiar with standard Police vocabulary. Police Operations: You will need to know the laws and procedures for the following areas: Traffic and Vehicles, Investigations, Law Enforcement Roles and Responsibilities, and Operations. You will need to memorize the information. There are 115 items on the exam related to those areas. Wanted Posters: You will be viewing, reading, and memorizing information presented on wanted posters, which is a large part of the job as a Toledo Police Officer. You are expected to memorize the information on the posters be able to answer questions based on those posters. There will be 10 items on the exam related to the wanted posters. Observational Videos: You will be presented with a series of videos that will be presented before the exam. During the videos you will be allowed to take notes. There will be 10 questions in this section of the exam. Language and Mathematics Skills: To be a successful Toledo Police Officer, you will be basic language and math skills. This section tests your skills in spelling, reading comprehension, addition, subtraction, multiplication, and division. There are 15 questions on the exam in this section related to language and arithmetic skills. 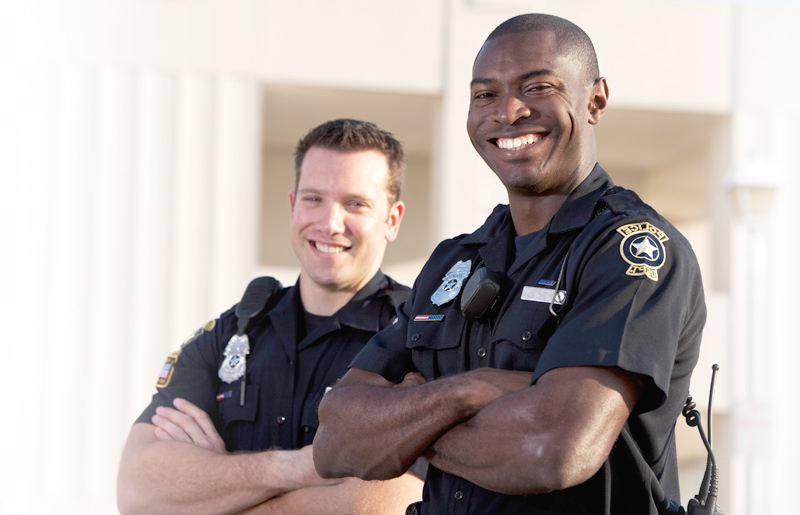 We provide test structure and format to familiarize you with the Ohio police exam. Our custom-made practice tests are designed to make it feel like you are taking the actual exam. Our police premium pack has over 1,500 questions, answers and explanations and includes a personality test to help you prepare for the hiring process. We offer 24/7 access to a vast array of practice tests, study guides, and more to ensure your test success. Join us and begin practicing today!